The Burseraceae is a family of around 18 genera and 540 species of tropical woody plants from the New World, Africa and Asia, sometimes forming pachycaul trunks and including members that produce fragrant resins or oils in their bark (e.g. 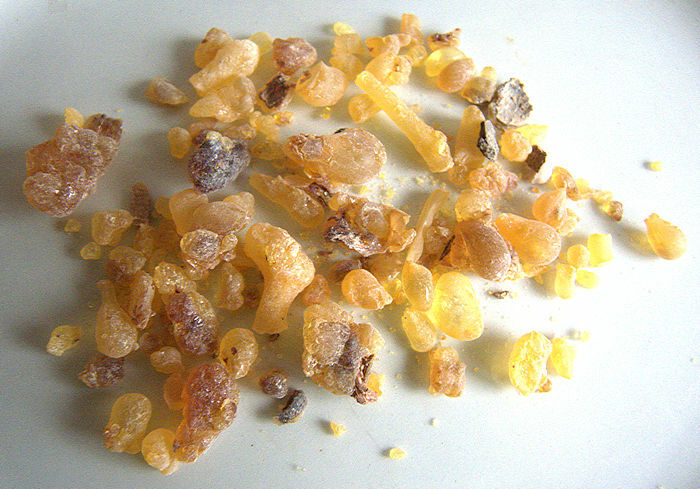 frankincense and myrrh), important since ancient times for use in incense, perfumes and as preservatives. 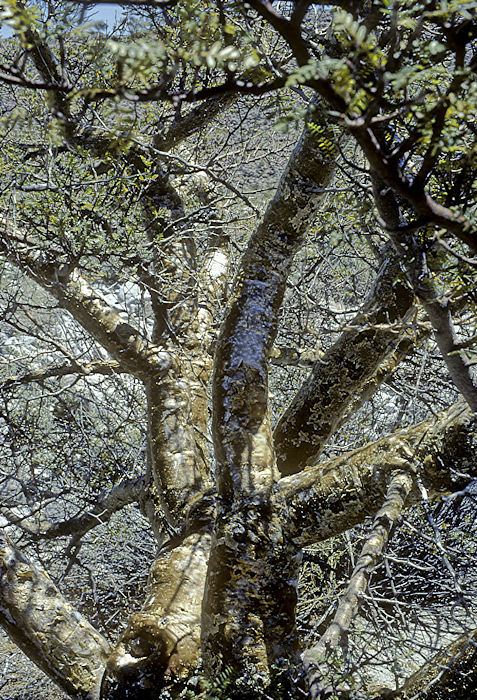 The type genus Bursera includes the Elephant Trees from the New World with thickened succulent trunks to store water, often with decorative peeling bark, and aromatic wood. 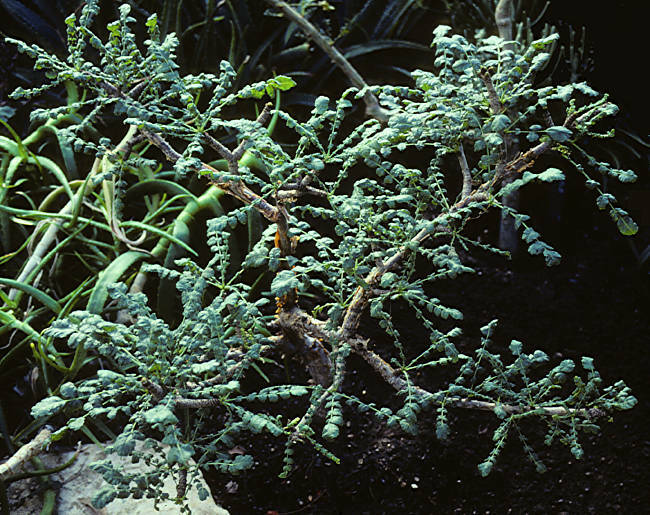 They can be grown as bonsai in a warm greenhouse, but will not take significant frost. Plants are best started from seeds as cuttings may be slow to develop a caudex. 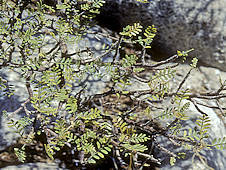 The genus includes 16 species of shrubs and trees from Northern Africa, Arabia and India. All species are resinous but just four species yield the aromatic resin, Frankincense. 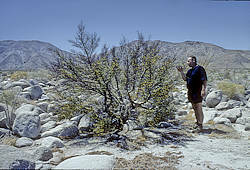 This scrubby tree grows up to 20ft tall in the driest conditions on rocky slopes and out of rock faces. The trunk has a papery, peeling bark. Tufts of deciduous compound leaves with an odd number of leaflets are produced along the branches. 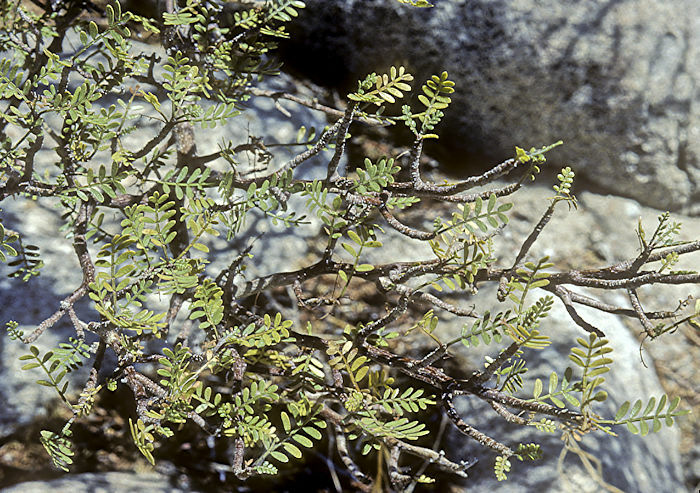 Boswellia sacra is the main source of the aromatic resin, Frankincense, although similar resins are also obtained from other Boswellia species. Frankincense has been used for thousands of years as an incense and in mummification. The resin is obtained by making incisions in the bark and collecting the hardened exudate. The quality of the resin is affected by the time of year and growing conditions. Collection is mainly from wild trees although attempts are being made to cultivate the incense trees. The genus includes 100 species of shrubs and trees native to the Americas and distributed in tropical forests from Southern USA and Caribbean islands to Northern Argentina. More than 80 species are found in Mexico and half of these are from the states of Guerrero, Michoacán and Oaxaca. 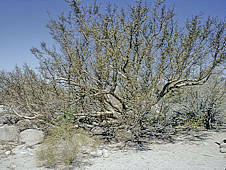 Several species are succulent with thickened, pachycaul trunks swollen with water-bearing tissues. Many species of Bursera have aromatic resins in their bark and wood, which are released when rubbed. 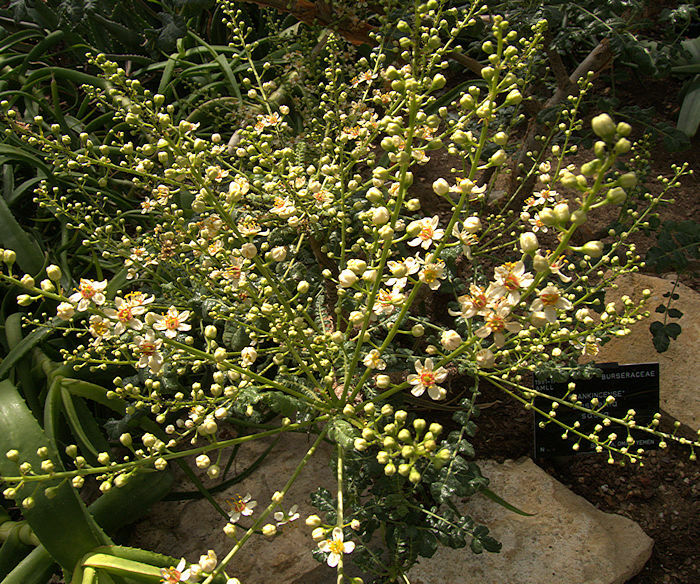 Bursera microphylla is one of the most aromatic members of this genus. These low spreading trees grow up to 10ft tall with thickened succulent pachycaul trunks, often twisted, whose green bark becomes white-ochre and peels in papery strips. The pinnate leaves have 3 - 15 leaflets and are produced as a response to rain. The bark and leaves are highly aromatic, similar to camphor, with a resin that can be collected for use as an incense similar to myrrh. 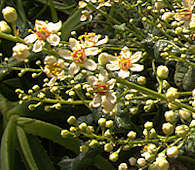 Five-petalled creamy-white flowers appear in early Summer. 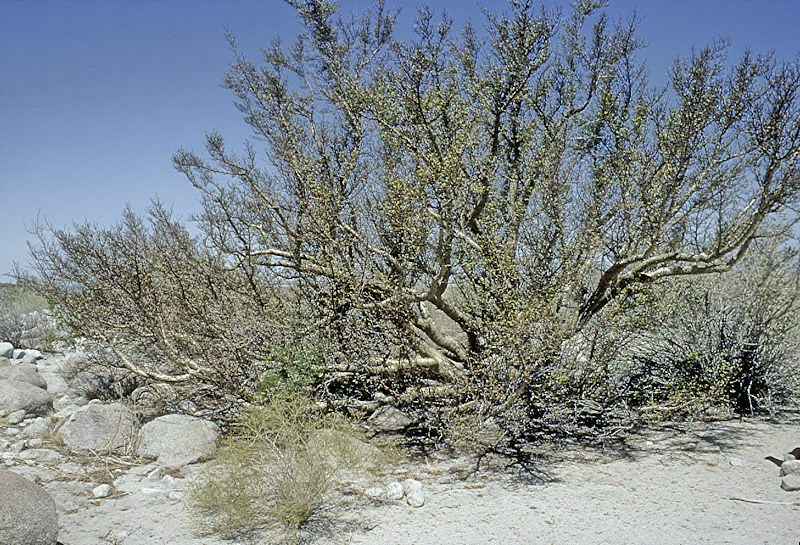 Bursera microphylla is distributed from South-Western Arizona and California into Baja California and the Mexican state of Sonora. A significant group of Elephant Trees grows at the bottom end of the Anza Borrego Desert State Park, California. Very slow in cultivation and are sensitive to cold. The aromatic resins discourage predation by herbivores and were used in traditional medicine and as a sealant for boats and pottery.